All articles remain the intellectual property of respective authors. 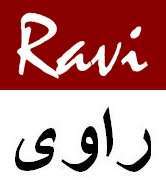 In order to maintain Privacy, as requested by many of our contributors, Ravi Magazine only publishes the first initial, unless authorized by author to publish his or her full name. Where articles are republished, a permission is obtained and original source is annotated on the page. Where photos are obtained from internet , these are checked to ensure they are in public domain and not subject to copyrights by user. Ravi Magazine does not use personal info of our site visitors or log traffic, with the exception of website analytics [Google and Bing] to understand our audience. 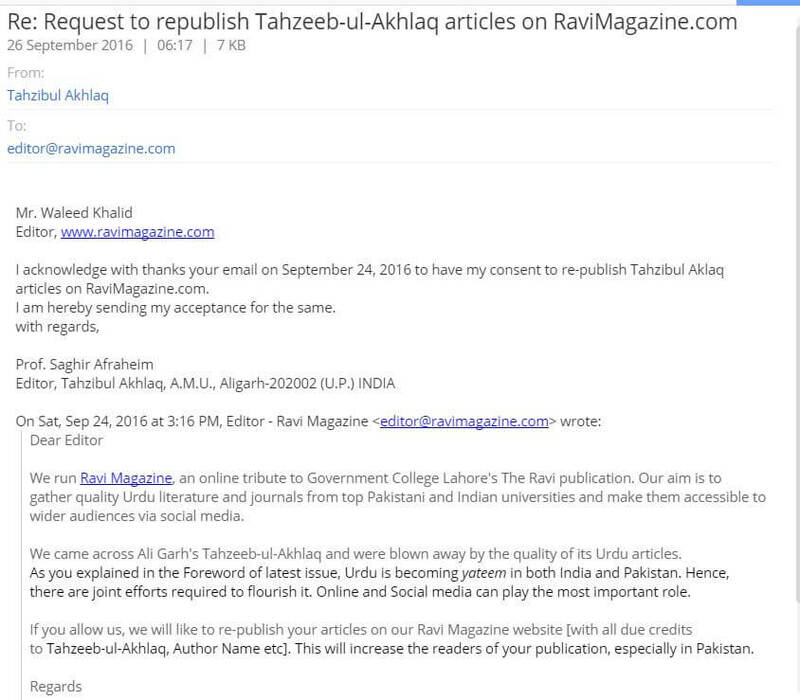 Ravi Magazine has permission to republish articles of Tahzib-ul-Akhlaaq, see permission here by Prof. Saghir, with our immense gratitude.